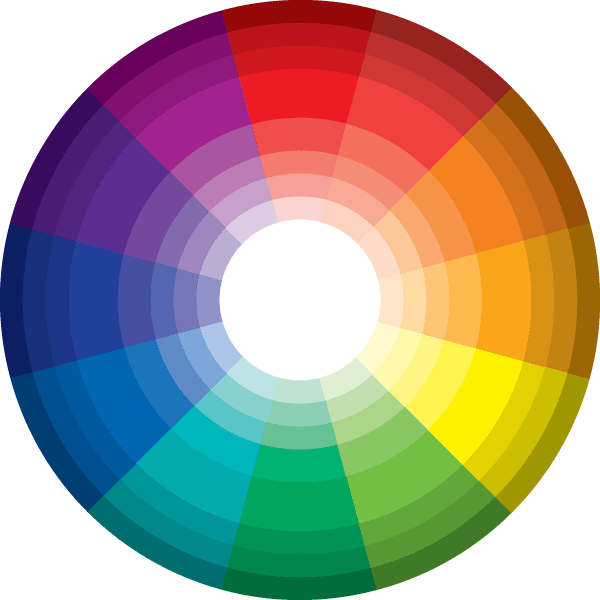 The World of Color: What Colors Best Impacts Conversions? Who would think something exciting would happen on Dec 28th, after all most people are on vacation no? Todays caller inspiration was in from a few designers that were tasked with redesigning one of our clients websites. Par for the course, I got the call after the redesign asking about SEO. That is never a good thing really because of how much goes into design verses impact on the SEO. When I first looked at the design, if this was years ago, I don’t think i would have cared. I overall did not like the site. In the past it would not of mattered what I thought. However, because conversion, and bounce rate are coming to the forefront of things, this was something I now needed to be concerned with. The overall user experience of this page was going to be pretty lacking. First off the page looked nice as an ad slick. But for a website, not so much. The page was hard to read, lacked clear direction of the purpose of the page. And, what it really didn’t do was lead users to making a purchase. Sometimes in an attempt to be artistic, the website sometimes loses focus; we have about 8-15 seconds to captivate and stimulate the visitor into engaging with. This was a great example. Nowhere above the fold where there clues to what the client does. Nowhere about the fold was their visual clues that this was actually an e-commerce website. Beyond all of that the website had a black background. Now in this SEO world of having to worry about the end user I had to address color because the last thing I want is a website that will increase my bounce rate and not convert. Before I go on. I want to clearly state I love Darth Vader. I wear black as one of my daily colors. Heck it’s easy to match. But for a website. I changed ACTWD’s color to white back in 2001 after every complained they couldn’t read the site. And there in lies the take away. But lets talk some turkey here; How does a black background convert over a white background website? Well of course an A/B test is always a good place to start. But, in lieu of that, on average, two exactly the same pages with just one having a white background and the other having a black background, white wins by at least 10 percentage points. Psychology also goes a long way in selecting colors for a website. Who is your audience? Women tend to shy away from websites that are grey orange or brown yet react very favorable to blue purple or green. Men on the other hand like blue, green or black and dislike brown orange or purple. The color blue is one of the best colors to use. It coveys trust and is a common color across brands. Paypal, Capital One, Chase Bank and even Facebook all are blue. Avoid the color yellow like the plague. It its unsettling and often agitates the user and it even makes babies cry. Some brand managers use yellow to convey fun, but often they fall short. Having an anxious user on your website is not going to help the sales process. Orange is the New… …. … Black. No I don’t mean the TV series, back in the early days of the internet many people had black websites. Orange is a real up and comer these days. It is fun and Amazon uses it. After all anything Amazon does when it comes to conversion should be copied. There is no better authority on conversion. And I shouldn’t need to say more than think orange my friend think orange. And then there is White. I know white truly is not a color and more a lack there of. But it is so impactful. It gives the user the perception of space and makes them feel like they can breath on the website. White space and the effective use of white is just so elementary and do overlooked. Clutter and darkness is very bad for sales (remember that). Learn to use color properly. It’s one of the largest contributors to a successful website and when in doubt test your outcomes. Don’t let a designer dictate. Many are very good, but I am really of the opinion that most function on an art level and not on a conversion level. To Right-Brained some say. I will say the people I met with today, they were pretty awesome because they listened, made adjustments and were responsive and not crying because I hurt their artistic feelings! I really respect that. Bottom line: Learning to use color properly will help you gain lots of the best color of all …GREEN!